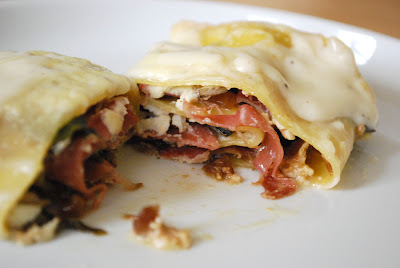 The BrokeAss Gourmet Good Vibes Giveaway Post: Recipe: Asparagus with Lemon, Parmesan and Prosciutto and Rolled Lasagna with Bechamel Sauce | Dinner Love. I am so very, very excited to have won! You can read all about the contest and the prize at both BrokeAss Gourmet and at Good Vibes. OMG! 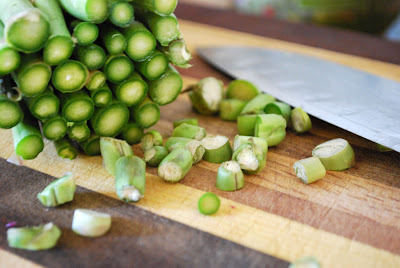 Oh, and just a quick note, I have the recipes listed here in order of course, but if you actually make all 3 courses you should make the lasagna first, pop it in the oven, then start on the asparagus. If you plan on making dessert, I’d cook the cakes halfway then put them in the oven after you eat the asparagus so that by the time you’re done with dinner, the cakes are ready to go! 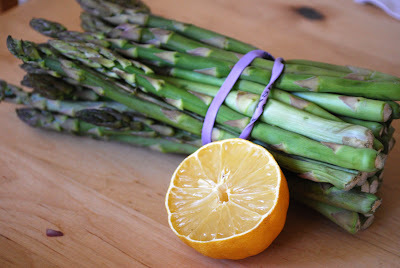 Cut the very bottom off of the asparagus, but leave whole otherwise. 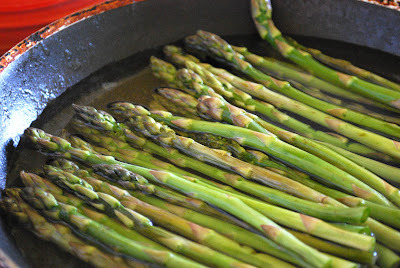 Cook in a shallow pan with 1″ of water for 3-5 min, just until bright green. This is about what 1″ of water looks like. This is what they will look like when you need to turn off the heat. Bright green! See the color difference? Strain the water. 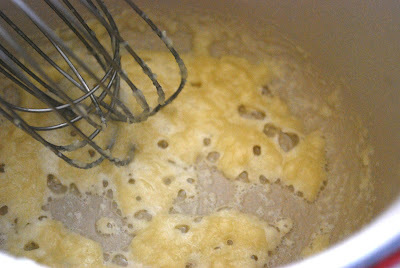 Add 1/2 lemon of juice and about 1/4 tsp salt and a few turns of a pepper mill. 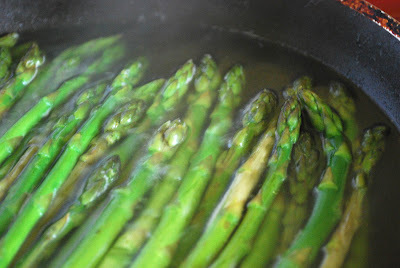 Cook for another 3-5 minutes, until asparagus is cooked as you like it. (I like mine crisp, so I would cook for about 3 min, but you may like yours more well done.) Remove to a plate. 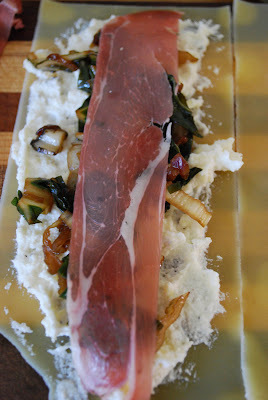 Crisp prosciutto in the pan for about 1 minute. 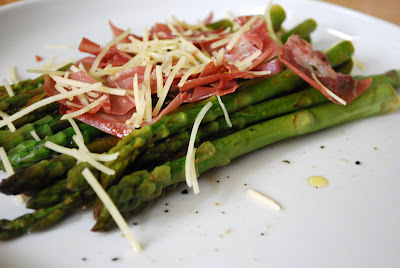 Top the asparagus with the prosciutto, parmesan, cracked pepper, and the olive oil. Serve. Yes, it tastes as good as it looks! Set oven to 400. Cook noodles according to package directions, cutting the cook time by about 1/4. We don’t want the noodles to be cooked all the way, because we will be finishing the dish in the oven. 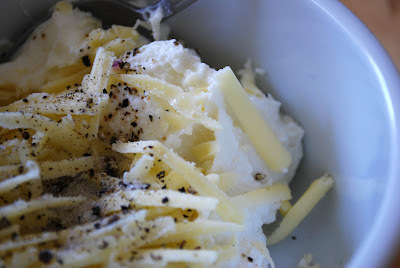 Mix together ricotta, jack cheese, salt and pepper. Saute onion and garlic in olive oil. 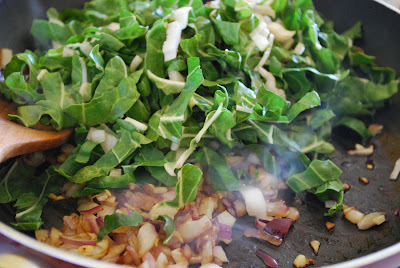 When translucent, add chard and 1/4 C water. Cook until reduced by half. Add more water throughout cooking if needed. 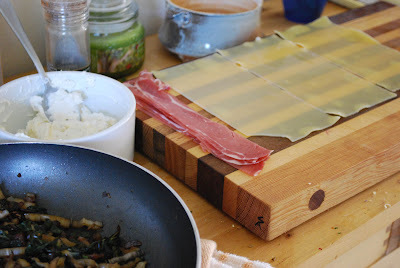 Cut the prosciutto pieces in half lengthwise. When the chard and noodles are done, you’re ready to roll. (Ha!) Lay the noodles on a flat surface. Divide all ingredients by 6; there should be about 1 TB for each noodle. 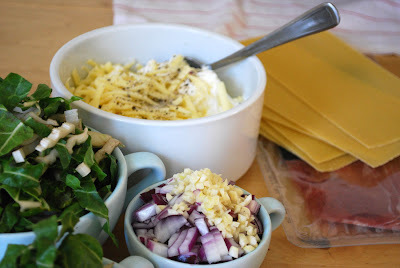 Smooth 1 TB of cheese, 1 TB chard, and a piece of prosciutto on the noodle. Melt 1 TB butter in a pan. 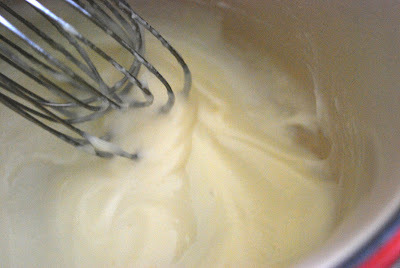 Add 1 TB flour; whisk to make a roux. 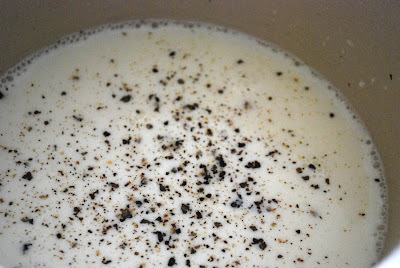 Slowly add 1 C milk, allowing ingredients to incorporate before adding more. 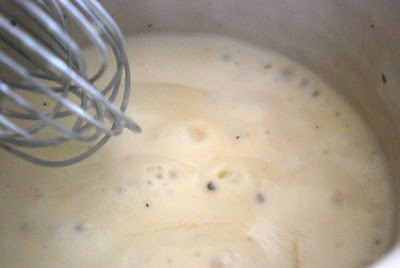 This is what the sauce will look like when you add the milk. 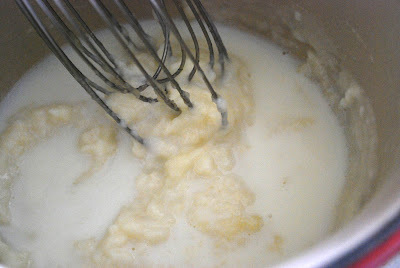 Then you should whisk to fully incorporate the milk, and it will look like this. Allow sauce to simmer for about 5 min. You want the sauce to be thick enough to coat the back of a metal spoon. Turn off heat, pour sauce over noodle rolls. 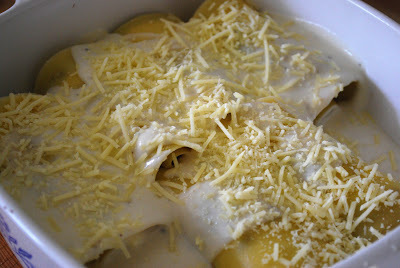 Top with parmesan. Bake for 20 min. After 20 min, turn heat up to broil and bake for another 5 min to brown the top. 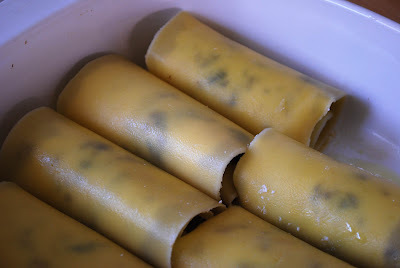 I adore lasagna rolls. 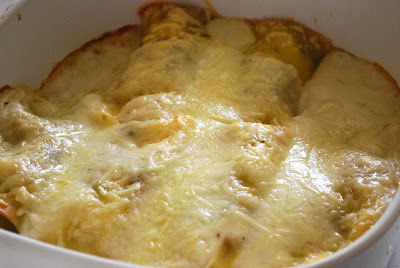 They feel so much more fancy than normal lasagna, and they are actually really easy (and cheap!) to make. Thanks again to everyone heading over from BrokeAss Gourmet and Good Vibrations Magazine. If you had any questions about the recipes, please don’t hesitate to email me at sefarros at gmail dot com.